When Bumblebore accidentally casts a spell of noxious vapours, or when Vol-au-Vent tries to overwhelm Harold with the fog of confusion, a simple counter-spell is enough to save the day. But for those of us less versed in the magical arts, we need a simpler means to cover our indiscretions. These Harold Potty Lites will do the job with almost-magical efficiency, and in splendid style. 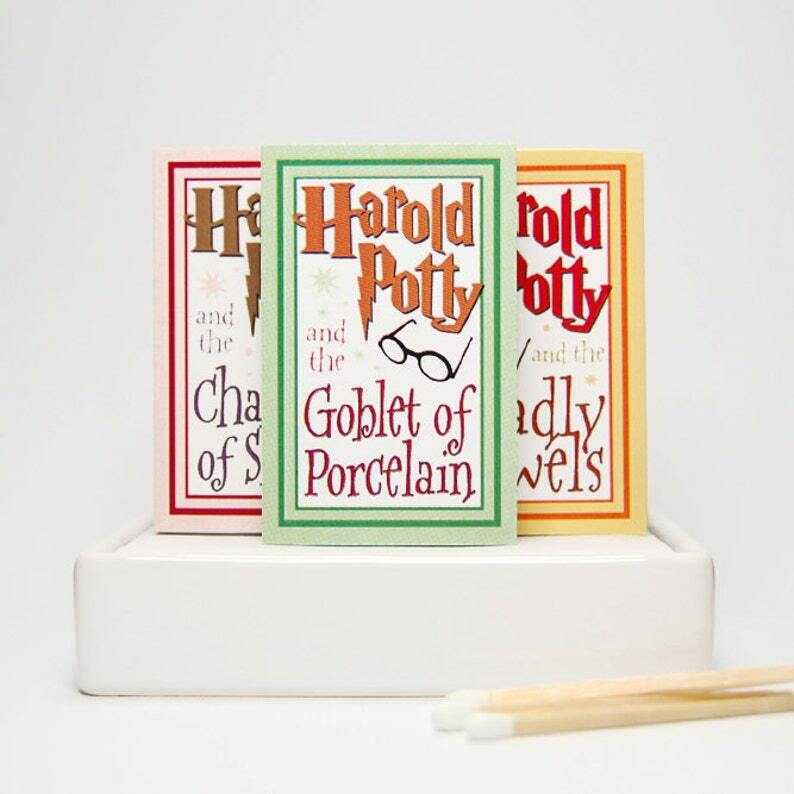 An homage to the runaway bestselling series, these Harold Potty Lites are perfect for every room in the house—or as a gift for your favourite would-be spellbinder. 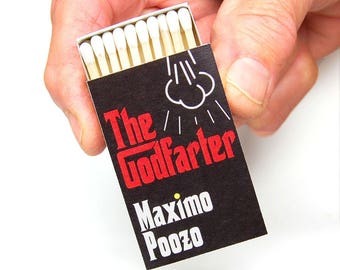 Each matchbox refers to a different book in the HP series. The back cover features a brief plot summary, sure to lift your spirits at times of need. 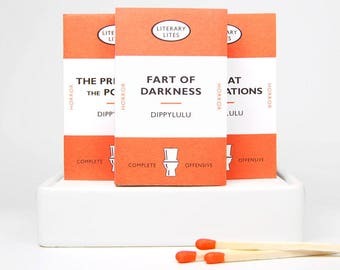 Even your most fetid productions will be miraculously transformed into fragrant literary offerings. Best stocking stuffer of the year. Thank you! Got here fast, too. Great! Very funny. Love it!